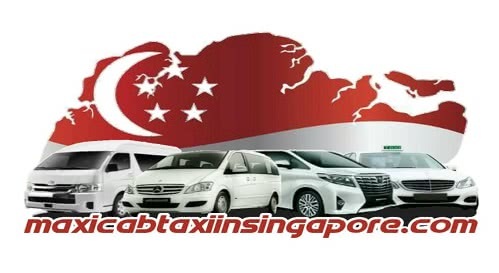 Having spent the last 22 years going through the rigid Singapore education system, the importance of studying hard to land a good paying job with career progression has been instilled in me. The thought of leaving a secure, full-time job to start my own business never crossed my mind. The insecurities of unstable income and the risk of business failure were enough of a deterrent. However, this was not the case for Jet, Mirene and Keris. Leaving their jobs as accountants and interior designers, they’ve ventured out into the food and beverage industry. Setting up Messy Munch in Nanyang Polytechnic, they’ve joined the group of individuals who have come to the realisation that life is short, and pursuing their passions is more important than raking in high salaries. The crepes they sell reflect their youthful and cheerful personalities, both in the names of their creations as well as the flavours of each crepe. Tom ($3.80) was the first crepe we were served. Tom as in the cat from Tom and Jerry. Stuffed full with a mixture of perfectly al dente macaroni and cheese, scrambled eggs, diced tomatoes and shredded chicken, the savoury crepe was well worth the price tag it came with. The shredded chicken was mixed with mayonnaise and chilled, giving a nice contrast to the other warm elements of the crepe. Featuring a unique yuan yang crepe base, the black coming for the incorporation of activated charcoal into the crepe mix, it hardly changed the taste of the crepe and was merely for aesthetic purposes. However, activated charcoal does have inherent benefits like cleansing your digestive system and cholesterol reduction. That’s definitely a plus for those who neglect the health aspect when deciding what to eat. The crepe was served with a side of barbecue chips. We were curious as to how the crepe would taste with the chip, and stacked the components of the crepe onto one. Truth be told, we weren’t expecting much but the crunch from the chip gave an extra crisp texture that we enjoyed (as the crepe had grown slightly soggy from the heat of the macaroni). Iconic duos cannot be separated and Tom came with his famous sidekick Jerry ($3.80). In this case, the macaroni had been replaced with white rice and the chicken with flaked tuna. The tuna left a slightly fishy aftertaste that for a fish-lover like me, suited my palate fine. But if you’re adverse to the briny taste of seafood, you might consider trying Tom instead. The Tom and Jerry were new additions to their menu after receiving feedback on the lack of proteins and carbs that made the crepes not filling enough. However, prior to those, the Morning Johnny ($2.80) was readily available as a breakfast option. A yuan yang crepe was topped with scrambled eggs, diced tomatoes and a mixture of cheddar and mozzarella cheese. For just $2.80, it’s perfect to grab-and-go and head on to your morning class and/or meeting. However, I found it rather plain, as the scrambled eggs were merely slightly salted and the cheese, while nice and melted, was rather mild and was not the sharp cheddar cheese I know and love. The dessert crepe was highly anticipated as I saw their list of available toppings that was rather extensive. From gummy bears to kit kat bars, I could not wait to try it. The name Happy Pill ($2.80) came about from the owners’ sweet tooth and their indulgence in sweet treats as comfort after a bad day. It comes with melted chocolate, torched marshmallow, one sauce, two toppings and one additional premium topping (like chocolate bars and popping candy). We opted for our crepe to be topped with a butterscotch sauce, mini Oreos, rainbow rice and Kinder Bueno. The crepe was sweet, on the verge of being excessive, but for those with a very sweet tooth, you’re bound to love this. The melted marshmallow was gooey, making it a nice contrast to the crisp crepe and melted chocolate. Every bite sure made us happy, although the thought of the calories in this one crepe was horrific. So if you’re getting a Happy Pill, just savour the crepe and don’t think about the calories you’re ingesting. Just don’t. Take my word for it. Messy Munch was inspired by the local classic — mee chiam kueh. 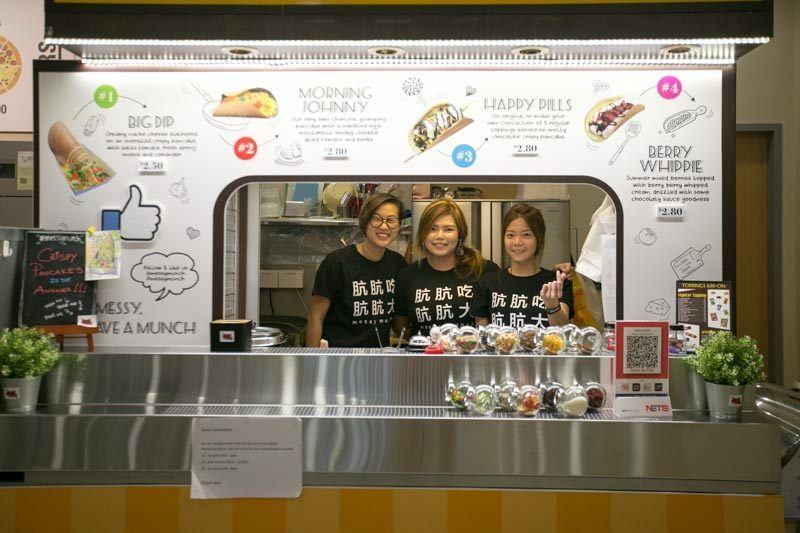 With the intention to zhng the traditional dish into one that is more recognised by the millennials of today, they opted to open a stall selling crepes instead. With prices starting at a mere $2.80, it’s definitely wallet friendly. Do drop by if you’re free and happen to be in the area and support another local startup today!